Worn handlebar grips fatigue your wrists and lead to dangerous situations as your hands struggle for traction. Changing your Yamaha XS650 handlebar grips is a simple, inexpensive way to improve its safety and performance. 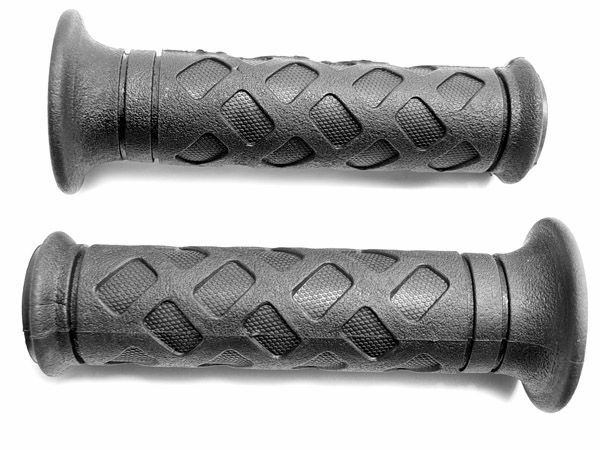 We carry a variety of XS650 handlebar grips to suit most riding styles. Check out our universal cruiser-style (cushioned, chromed, Gran Tourisimo), sport gel type (superbike and oval pattern) and heated grips. We also carry hard-to-find 1970-75 Yamaha XS throttle sleeves and universal throttle assemblies for 7/8-inch handlebars.